Currently a Principal Software Engineer for the Technology, Evangelism, and Development (TED) Team within Microsoft Corporation, Stephen brings his varied 20-plus-years of experience as a former practicing Architect, CAD Manager, IT Technologist, Software Engineer, CTO, and consultant to assist select Microsoft Partner organizations in their adoption of cutting-edge and pre-release Microsoft developer products and technologies. Stephen is an active contributor to several Open-Source Software projects including NHibernate, Spring.NET, NDbUnit, Common.Logging, and others as well having developed a number of Visual Studio productivity add-ins. Active in the local NYC software development community, Stephen speaks publicly, blogs (semi-) regularly, and is the author of several popular screencast series focused on Agile and ALT.NET concepts and technologies including the widely-praised 15-part Summer of NHibernate video series introducing viewers to the popular open-source O/RM tool and the Autumn of Agile series that takes viewers through the design, planning, and construction of an entire .NET project in an Agile context. 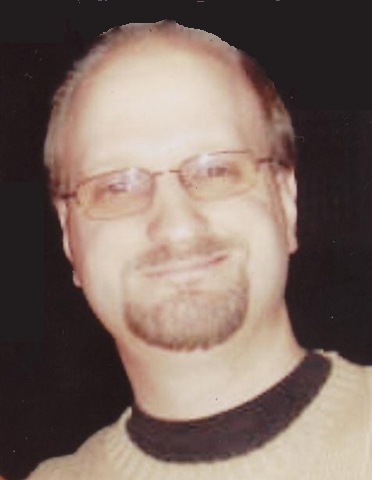 He is also a contributor of a number of shorter screencasts available on Dimecasts.NET and elsewhere. Stephen is also a founding/organizing member of the NYC ALT.NET user group which meets monthly to discuss Agile-focused techniques and technologies in the world of Microsoft software development and beyond as well as a co-organizer of the New York City Domain Driven Design User Group. For the past several years, he has been the Chairperson of the Organizing Committee for the annual New York City Code Camp event. He is also a past Microsoft MVP award recipient in Solution Architecture, ASP.NET, and Visual C#, a member of the ASP Insiders and the Visual C# Insiders, and formerly held the office of the Vice President of INETA, North America. Prior to joining Microsoft, Stephen was a Senior Software Engineer in the SpringSource division of VMware where he was the Technical Lead and Community Evangelist for the Spring.NET Framework. Before SpringSource, Stephen was a Senior Software Engineer for Skiff, LLC, a start-up focused on developing an e-Reading platform for digital content publishers which was ultimately acquired by NewsCorp. Prior to that, Stephen spent many years as a Senior Solutions Architect and Project Manager for the software consulting practice of Microdesk where he oversaw the development and delivery of numerous software solutions for Architecture, Engineering, Construction, Geospatial, and Real Estate firms. Before becoming completely immersed in software development, Stephen spent years as a both a practicing architect and CAD Manager for architecture and engineering companies developing custom CAD software extensions, implementing CAD Standards, and supervising network design and implementations. Stephen holds a BS in Architecture from The Ohio State University and is a proudly uncertified SCRUM Master. For a comprehensive list of Community and Educational Activities Stephen has been involved in, see this page. Currently a Principal Software Engineer for the Technology, Evangelism, and Development (TED) Team within Microsoft Corporation, Stephen brings his varied 20-plus-years of experience in software and technology to assist select Microsoft Partner organizations in their adoption of cutting-edge and pre-release Microsoft developer products and technologies. Stephen is also an active contributor to several other .NET Open-Source Software projects including NHibernate, Spring.NET, NDbUnit, Common.Logging, and others. Stephen is also a past Microsoft MVP award recipient, a member of the ASP Insiders and Visual C# Insiders, and formerly held the office of the Vice President of INETA, North America. I’ve been watching your screen-cast and I think you’re doing a terrific job. Right now, I am currently viewing your Autumn of Agile series and in it I’ve been taking note of all the tools you’re using. I was wondering if there are any free (or low cost) alternatives to the programs you were using in the video? Glad you’re finding value in the content — thanks for the feedback. Re: free (or low cost) alternatives to the tools you see me use there, you will be pleased to learn that MOST of the tools that you see me use do in fact come in some free ‘express’ versions, free ‘personal’ versions, and low-cost versions too. As you can see from the second of those two posts, (obviously) not all of the functionality of the commercial products is present in the express product, but its perhaps 60% of what you will find yourself using most often. I STILL argue for the value prop of the commercial tools in this case, but again let’s assume you lack the $250. Your series are absolutely nice, thank you. I am a developer from Moldova – small country from the former USSR. Would you be so kind to tell me what code snippet in VS2008 you used in your series ? Thanks for the feedback, I’m glad you’re enjoying the screencasts and finding value in them. Hello Stephen again from Moldova ! But anyway, code files contain right parameter for generator class ! I attended your session last night in NJ, and found your talk on IoC very compelling. I was very interested towards the latter part where you introduced Aspect Oriented Programming. Aside from a few notes I took I would like to know if it would be possible to grab a copy of your PowerPoint presentation to share with the rest of my team who weren’t able to make it.